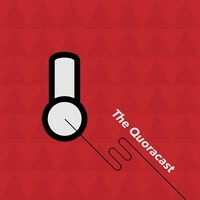 The Quoracast is an unofficial podcast profiling the Quora community. Garion Hall operates AbbyWinters, a popular adult entertainment website. Listen at Adult Entertainment Engineering with Garion Hall or check out The Quoracast on iTunes. Vint Cerf is Chief Internet Evangelist at Google. He contributes to global policy development and continued spread of the Internet. "I could forgive everyone who had ever hurt me and I could have power over that pain."